Dr. Bessam Farjo: The Farjo Hair Institute Manchester and London, UK. Dr Farjo qualified as a doctor of medicine at the Royal College of Surgeons in Ireland in 1988 and trained in general surgery at NHS hospitals across the UK and Ireland. Dr Farjo founded the Farjo Hair Institute in 1993 with his wife, Dr Nilofer Farjo. The Farjo Hair Institute exclusively offers hair transplant surgery and hair restoration medicine with offices in Manchester and London, and is one of the world’s leading hair transplant clinics. 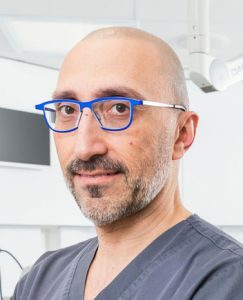 In 1996, Dr Farjo co-founded The British Association of Hair Restoration Surgery, and held the position of President from 2002–2004, he is a registered member of the Institute of Trichologists (est. 1902), and in 2000 he was appointed as a Board Governor and medical director. In 2003 Dr Farjo passed the examination of the American Board of Hair Restoration Surgery (ABHRS). Dr Farjo served as Board Director of the ABHRS 2006 – 2012. He served on the Board of the International Society of Hair Restoration Surgeons 2002–2009 and was the first European doctor to be elected ISHRS President in 2007–2008. He currently serves as Lead ISHRS Ambassador.Over the past 21 years Dr Farjo has performed over 6500 transplant procedures. He is considered to be an expert in the field of hair transplant surgery and hair restoration medicine, and is regularly quoted in the media. Dr Farjo has over 70 different hair and scalp presentations/publications to his name, and has attended more than 70 workshops, meetings and conferences worldwide. 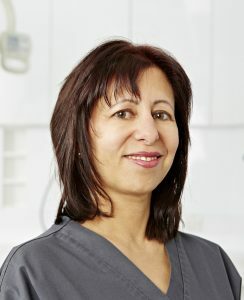 Dr. Nilofer Farjo: The Farjo Hair Institute Manchester and London, UK. Dr Farjo is a graduate of the Royal College of Surgeons in Ireland (RCSI). She is Diplomate of the American Board of Hair Restoration Surgery (ABHRS). DR Farjo is editor of the International Society of Hair Restoration Surgery (ISHRS) and was Co-Editor of Hair Transplant Forum International, the official journal of the ISHRS, 2011 – 2014. She is founder Member and past President of the British Association of Hair Restoration Surgery (BAHRS) and treasurer of the European Hair Research Society (EHRS). She is a fellow of the Institute of Trichologists and a founder Member and past President of the Trichological Society. Dr. Jerry Cooley: The Hair Centre Charlotte, NC, USA. Dr Cooley is a board certified dermatologist and diplomate of the American Board of Hair Restoration Surgery (ABHRS). He has served as Vice President of the International Society of Hair Restoration Surgery (ISHRS) and its President in 2011. In 2008, he won the coveted Platinum Follicle Award from the ISHRS for his many scientific contributions to hair restoration. He is a frequent lecturer at hair transplantation conferences, and has authored numerous articles and textbook chapters in the field. He is committed to researching improvements in the field of hair restoration and has received three research grants from the ISHRS. He continues this research with leading academic researchers and biotech companies. He has also been featured in numerous media outlets, including the New York Times, The New Yorker and Wired magazines. Dr Ken Williams: Irvine Institute of Medicine and Cosmetic Surgery, Irvine, CA, USA. Dr Willams is an active member and Fellow of the International Society of Hair Restoration Surgery (ISHRS) and instructor of FUE in ISHRS sponsored workshops. He is also a member of the North America Hair Research Society, American Academy of Cosmetic Surgery and the American Society for Laser Medicine and Surgery, he is a co-author of the world’s premier FUE textbook “360 Hair Transplant-Follicular Unit Extraction”. Dr Williams has developed systems to improve FUE graft survivability such as HypoThermosol, Liposmal ATP, graft chilling, PRP, and ADSC therapy. Dr James Harris: Hair Sciences Center of Colorado, Denver, CO, USA. Dr Harris is an internationally renowned hair transplant surgeon and recognized innovator in the field of hair restoration. He has pioneered and patented an advanced method of follicular unit extraction (FUE), called the Harris S.A.F.E™ (Surgically Advanced Follicular Extraction) System and was also the lead consulting physician on the development of the ARTAS™ robot. He is the chairman of the International Society of Hair Restoration Surgery’s FUE Research Committee, and leads the organisation’s research efforts in the field of FUE. He is the 2014 recipient of the prestigious Golden Follicle Award for significant clinical contributions to the field of hair restoration, an award given annually to one innovator in the field around the globe. Dr Robert Leonard: Leonard Hair Transplant Associates, Boston, New Hampshire, Rhode Island USA. Dr Leonard is a Diplomate of the American Board of Hair Restoration Surgery and a Fellow of the American Academy of Cosmetic Surgery. 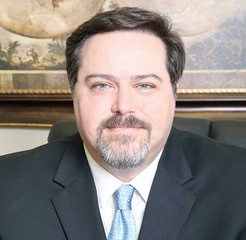 He has served on a variety of boards, including the State of Rhode Island Board of Medical Licensure and Discipline, and has acted as a leader in a number of organisations, including: President of the International Society of Hair Restoration Surgery (ISHRS), Chairman of the ISHRS’s Bylaws and Ethics Committee, Chairman of the ISHRS’s Media Committee, Trustee of the University of New England, and Trustee of the American Board of Hair Restoration Surgery. Dr. Leonard was recently appointed to the American Society of Hair Restoration Surgery Advisory Council. Dr Russell Knudsen: The Knudsen Clinic, Brisbane, Canberra, Melbourne, Sydney Australia & Auckland New Zealand. Dr Knudsen is a highly experienced surgeon with well over 6000 hair transplant procedures performed over 28 years. He is a full-time specialist in this field and internationally recognised for his contributions to hair restoration surgery. He is an author in two current textbooks on hair transplantation and has had numerous scientific articles published. He is past President of both the International Society of Hair Restoration Surgery and the Australasian Society of Hair Restoration Surgeons. In 2000 he was awarded the prestigious Golden Follicle Award by the International Society of Hair Restoration Surgery (ISHRS) for contributions to the field of hair restoration surgery. Dr Aditya Gupta: Sure Hair International, Seager Medical Group, Canadian Hair Transplant Center, Toronto, Canada. Dr Gupta is an active member of the International Society of Hair Restoration Surgery; he is the chair of the Subcommittee on Literature Review (FUE Advancement Committee) and is member of the Ad Hoc Committee on PRP. He has published several articles on the non-surgical methods used in hair restoration such as platelet-rich plasma, oral therapies (e.g., finasteride, dutasteride) and low level laser therapy. Dr Marco Barusco: hairdoctorflorida.com, Central Florida, USA. Dr. Barusco is a leading hair doctor. During his 12-year tenure as a key hair transplant surgeon and trainer at Medical Hair Restoration (MHR), he was heavily involved in their accredited Post Graduate Fellowship program. In 2010 he decided to open his private practice and is the Co-Founder/Medical Director for Tempus Hair Restoration. He has held numerous leadership positions on the American Board of Hair Restoration Surgery (ABHRS), including past-President of the Board of Directors in 2017. Academically, he serves as Assistant Professor of Surgery for the University of Central Florida’s College of Medicine. Dr. Barusco is also a member of various committees in the International Society of Hair Restoration Surgery (ISHRS) and a respected author of hair restoration textbooks.